I saw this card on Pinterest and just had to case it. 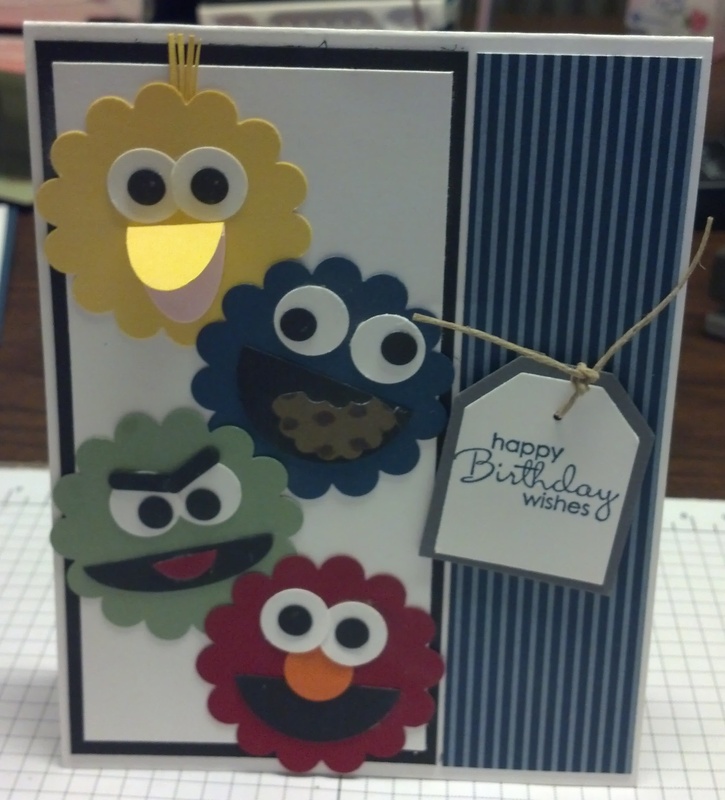 Another fun card for the little ones. I remember when my granddaughters were small, Elmo & Big Bird were their favorites.